McCarty was born in Shubuta, Mississippi, on 7 March 1908, the only child of Lucy McCarty. 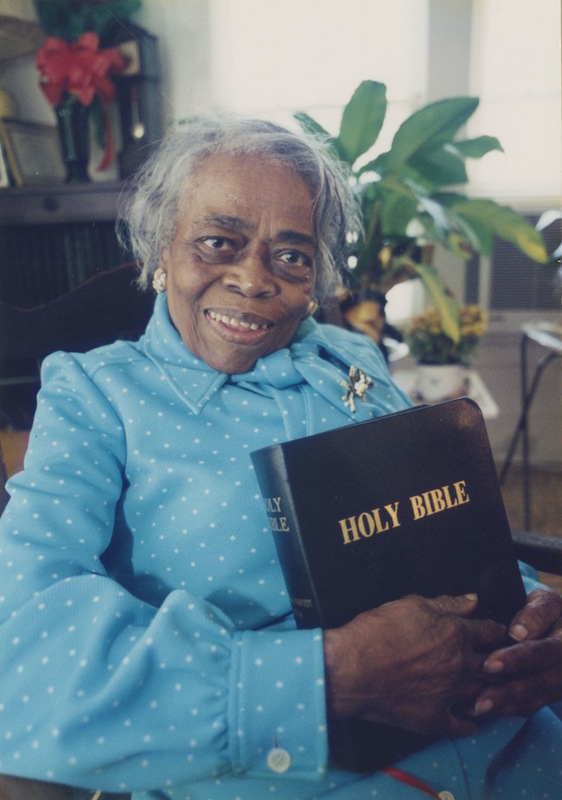 Oseola was raised by her grandmother, Julia Smith McCarty, and in 1916 the family moved to Hattiesburg, where Julia McCarty purchased a seven-acre truck farm and took in laundry to support the household. Oseola McCarty left school in the sixth grade to help take care of her family and for the next three-quarters of a century earned her living by taking in washing and ironing, retiring at age eighty-six because of arthritis. She never married and beginning in 1967 lived alone in a house inherited from her aunt. McCarty never owned a car, walking everywhere she went and pushing a shopping cart nearly a mile to get groceries. She seldom read the newspaper and had a television with only one local channel. She bought an air conditioner after her retirement but turned it on only when she had company. Her social life centered on her church and her Bible. Living so frugally, McCarty saved much of the money she earned, and at age eighty-seven, she decided to donate most of her savings to help Southern Miss students achieve the educational goals that she had long ago abandoned. Although McCarty lived just blocks away from the university, she did not set foot on the campus until August 1995, when she came as an honored guest at the fall convocation and received a one-minute standing ovation from an estimated one thousand faculty, staff, and community members in attendance. Local business leaders quickly matched her grant, creating the Oseola McCarty Endowed Scholarship. Over the next four years, donations from more than six hundred individuals, companies, and other organizations from more than thirty states raised the endowment’s value to almost a quarter of a million dollars. McCarty received at least 150 awards, including an honorary doctorate of humane letters from Harvard University and the first honorary doctorate ever awarded by the University of Southern Mississippi. After learning that she would have liked the opportunity to study nursing, Southern Miss’s School of Nursing made her an honorary alumna. New York City mayor Rudy Giuliani asked McCarty to flip the switch that lowered the ball in Times Square on New Year’s Eve. The woman who had rarely traveled beyond the Hattiesburg city limits ventured all over the United States and appeared on the Oprah Winfrey Show, Late Show with David Letterman, and Today. In recognition of her generosity, Pres. Bill Clinton awarded her the nation’s second-highest civilian honor, the Presidential Citizens Medal, and has often cited McCarty as a role model for others. The first recipient of the Oseola McCarty Endowed Scholarship, Stephanie Bullock, became close to her benefactor while in school. After McCarty became ill with cancer, she told Bullock that her only wish was to see her first scholarship recipient graduate. Bullock graduated in May 1999; McCarty died at her home on 26 September. Although McCarty resisted the university’s requests to name a building in her honor, in 2002 a new campus residence was named Oseola McCarty Hall. In the two decades since her death, the scholarship endowment has continued to receive donations: by 2014 the fund’s value had topped seven hundred thousand dollars, and forty-four students had received McCarty Scholarships.